Ease into the hectic holiday season with the help of aromatherapy. The fragrances of plant-derived essential oils have long been used to improve the health of our mind, body and spirit. We are betting that many of our readers have several of the herbs used in the following elixirs in your gardens. Use eucalyptus essential oil in the fight against colds and flu this winter. Just place a few drops into a diffuser on your desk at work, in your bedroom or family room. The diffusers come in a wide array of shapes and sizes. Some use heat, ultrasonic vibrations, fans or wood wicks to disperse the fragrance throughout the room. Others, like the Eden Aroma Diffuser, allow the fragrance to seep through the porous portion of the diffuser pot and into the room. End your day with relaxing lavender. It helps reduce anxiety, relieves headaches and improves sleep. 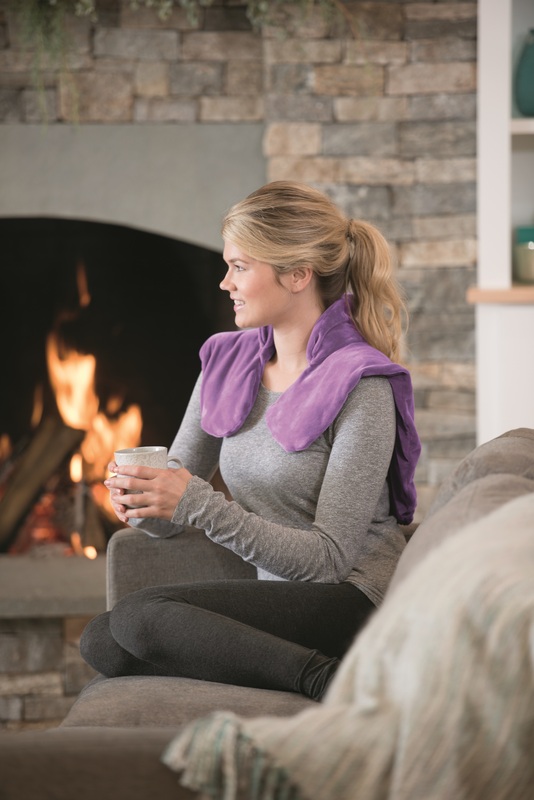 Turn up the heat and fragrance with the Ultimate Lavender Wrap (gardeners.com). Simply pop the flax, rice and lavender infused insert into the microwave. Place it back into the cloth cover and drape it over your neck and shoulders. This can provide relief for those suffering from tense or aching muscles and winter chills. Melinda Myers has written more than 20 gardening books, including Small Space Gardening. She hosts The Great Courses “How to Grow Anything: Food Gardening For Everyone” DVD set and the nationally syndicated Melinda’s Garden Moment TV & radio segments. Myers is a columnist and contributing editor for Birds & Blooms magazine and was commissioned by Gardener’s Supply for her expertise to write this article. Myers’s web site is http://www.melindamyers.com.